Investors missed a few diamonds in the rough this year. Although U.S. stocks are finishing the year flat after six years of healthy gains, a few big brands had strong years. The problem is that many investors just didn't own them. Openfolio, a platform that allows investors to compare portfolio performance, analyzed 20,000 retail investors' portfolios and found the stocks that did the best but were owned by a small number of its users. Here are the winners you might have missed. Video games ruled in 2015. 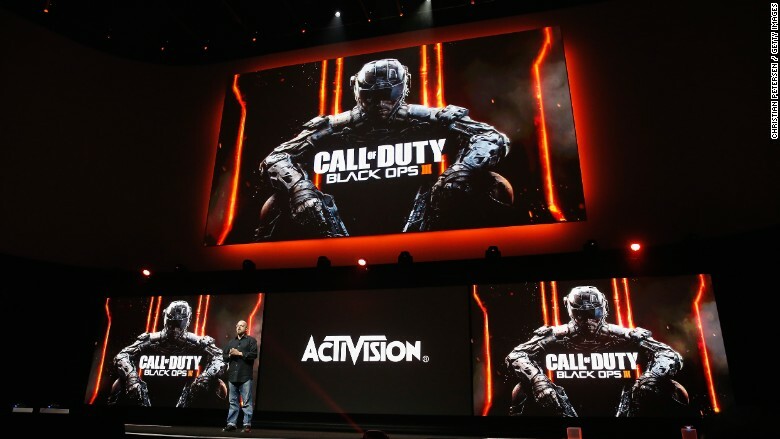 Activision (ATVI) -- led by sales of its signature game "Call of Duty" -- beat Wall Street expectations by a mile this year. It also acquired King Digital, the maker of Candy Crush, for $5.9 billion in November. Nvidia (NVDA) may not be one of the best known stocks, but its rubbing shoulders with one. A computer, tablet and smartphone chip manufacturer, Nvidia is also leading the market for in-car infotainment systems. One of its key partners: Tesla. Like other overlooked stocks, Nvidia also makes video games. The No. 1 video games publisher for Xbox and PlayStation 4, Electronic Arts (EA)' stock hit an all-time high this year. In addition to its flagship games like Madden NFL, EA is raking in extra profits this fall from its new Star Wars Battlefront video game. JetBlue (JBLU) is having a moment. Its passenger volume is up 11% so far this year compared to last, and like other airlines, it's benefiting from low fuel prices. Its number of departures is up by double digits too. JetBlue stands to profit more in 2016 as it beefs up its commercial flights to Cuba. What global economic slowdown? Nike sells lots of its sneakers and jerseys overseas, but the headwinds abroad haven't stopped its stock from having another All-Star year. The company is also profiting from a lower tax rate this year. Nike recently announced its tax rate this year is 19.1% compared with 25.4% a year ago. The tax cut is due to its increased international business. Nike (NKE), which makes more abroad than in North America, is still raking in cash too. In its most recent quarter it made $7.7 billion, up 4% from a year ago. Allergan (AGN) epitomizes how many companies sought to find profits in a year hit by a sluggish global economy: mergers. Allergan merged with Pfizer in the biggest pharmaceutical deal ever, valued at $160 billion. Allergan, the maker of Botox, saw its stock shoot up after the deal was announced.